In this third and final part of the interview, David describes the nature and plight of our State Emblem, the Leadbeater's Possum (Gymnobelideus leadbeateri). The leadbeaters possum is a small marsupial weighing about 140 grams. Small enough to fit in your hand, they stand out with their long club like tail. However, it is not for this tail that their name is derived - rather, they are named for the taxidermist from the Victorian museum who described them: John Leadbeater. While small marsupials tend to be colonial (often for protection from predators and to keep warm), the Leadbeaters are unique in having a matriarchal society. While the number of individuals in a colony can vary with season, David says he has noted a decline in the overall size of colonies, from 8 to 12 individuals down to an average of two. He says that logging old growth trees is an issue, as a tree often needs to be over 150 years old before it will form the hollows that these possums require for nests. Furthermore, as young forests are more fire prone, these animals are subjected to an increasing frequency of fires. He notes that there is a cycle whereby fires tend to occur in areas previously logged, but that we are also more likely to log areas effected by fire (a process called salvage logging), and so forests are being driven to a younger and younger age. Because of this, David and his collaborators have written a strategy for the conservation of the species and its habitat. Of course, tree hollows are imperative to a lot of Australian fauna, and so David’s plan may help to conserve numerous native species, but given the dire situation of these possums, the emphasis is on them. Because of this, David has proposed the concept of a new nature reserve encompassing the entire range of the Possum. He further declares a need to remove logging from the system, and to get the community involved. David explains that people have the power to demand that the best be made of these parks – which are public land, and he concludes that supporting these ecosystems also means supporting the communities in and around them. In this first part of the interview, David discusses where he came from and what defines his science today. David spent the first years of his life in Melbourne’s eastern suburbs. When he was ten he moved to Canberra, and upon completing his schooling spent some time travelling overseas. Returning to Australia, he studied Marine Biology at James Cook University, however, he soon developed an interest for forests and began to volunteer with the CSIRO. While doing a Master’s degree, his research focused on the Leadbeater’s Possum, and became so intensive that he had to convert his degree into a PhD. His work investigated the habitat and nesting requirements of the possum, but also looked at the animal’s associated ecosystem as a whole. It was from this initial work that David would cultivate a life-long passion for the Montane Ash forests of Victoria, and spawn a highly productive career in ecology. Yet, David’s work isn’t restricted to the Ash forests of our state. 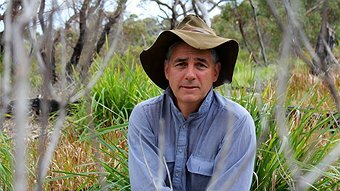 His team of nearly 40 people runs the largest terrestrial-research monitoring program in the world, working throughout various habitats across Victoria and interstate. His team have published some 180 papers and 7 books on the Victorian Montane Ash ecosystem and some 500 papers and 35 books across all the systems they have worked on. David explores his passion and hopes for these forests further in Part 2 of our interview.